Red Reishi Mushrooms, also known as Ganoderma lucidum and lingzhi mushrooms, have been used for centuries, dating back to the Han Dynasty over 2,000 years ago. These fungi have a shiny cap that is red in color and shaped like a kidney, with white or brown pores underneath. The mushroom is soft and corky but their red-varnished cap gives them a striking appearance. Red Reishi Mushroom Extract has been prized all over the world for its reported benefits. Its constituents include polysaccharides like beta-glucans, ganoderic acids, coumarin, mannitol, alkaloids, and fungal immunomodulatory proteins (FIPs), which help to support healthy immune function. As a dietary supplement, take two 500mg Red Reishi Mushroom Extract capsules daily. When you buy Red Reishi Mushroom Extract, it’s important to be sure you’re getting a high-quality product. Unfortunately, many brands today use manufacturing processes that lead to a low-quality product. Red Reishi Mushrooms are typically grown on a bed of grain, like rice. First the mycelium develops, which is to a mushroom as roots are to a tree, and then the fruiting bodies, or the above-ground mushroom portion, develops. Although most of the active compounds responsible for the benefits of the mushroom are found in the fruiting bodies, many manufacturers only allow the mycelium to develop and then grind it with the growing media and package it. Nootropics Depot and Nammex offer only high-quality Red Reishi Mushroom Capsules. Derived from organic whole fruiting bodies, our extract retains the helpful compounds that have been prized for centuries. Did you know not all Red Reishi mushroom extracts are made the same? To learn more about the differences between our 1:1 and 8:1 Red Reishi extracts, check out our blog here. 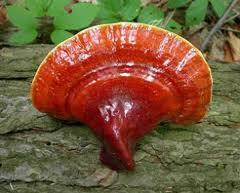 To gain more insight, see the Red Reishi Mushroom reviews and experiences below. Where to Buy Red Reishi Mushroom Capsules? Nootropics Depot offers 60ct. or 180ct. jars of certified organic Red Reishi Whole Fruiting Body Mushroom Capsules. Nootropics Depot's Red Reishi Mushroom capsules have been lab-tested and verified for both product purity and identity. You may also be interested in Red Reishi Mushroom Extract Powder. Attention: *These statements have not been evaluated by the Food and Drug Administration. This product is not intended to diagnose, treat, cure or prevent any disease. I was skeptical at first but seems to be effective. Great thanks. I got my IQ tested a few years ago with the K-WISC(Korean Wechsler Intelligence Scale for Children) and scored 99. That's dead-on average. It's been a few months since supplementing with red reishi and some other nootropics from this company and now I can actually do advanced math!! A few years ago, I had trouble grasping basic elementary concepts like negative numbers... I simply couldn't calculate equations like [3-6=? ]At that time, my brain just didn't comprehend how that is possible!! Now I actually understand with ease all the concepts of high school level math/physics(things like Compton scattering). If you want to know how complicated high school mathematics/physics is in my country , search up 수능수학 이과 and 수능수학 물리2. I didn't even know the Pythagorean theorem a few months ago, now I know things like l'Hospital's rule(although it isn't used much). I am not bragging, I swear to god that my full scale IQ was tested at 99. These days,because of this red reishi, I almost nearly memorize/understand mathematical concepts and equations instantly. This ability is extremely helpful when doing problems about trigonometric functions. This mushroom is also probably the reason my English improved so quickly!! I don't know how else someone with an IQ of 99(me) can possibly learn this fast!!!! I recommend anyone studying subjects like mathematics/physics/chemistry to give this red mushroom a try! I'm going to buy 6 more bottles of this thing today.